In the past week or so, I’ve taken some of those online tests to see if they could guess my age based on one thing or another. 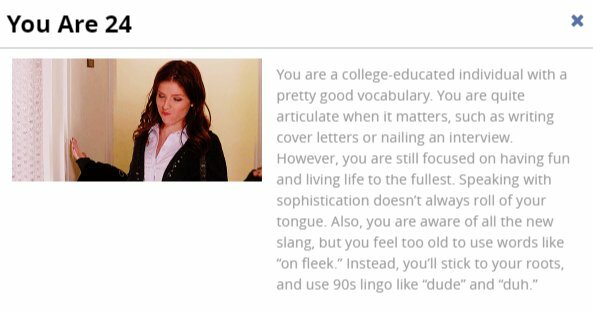 Based on one test where I was asked to pick words to describe different things, my age was calculated to be 24. 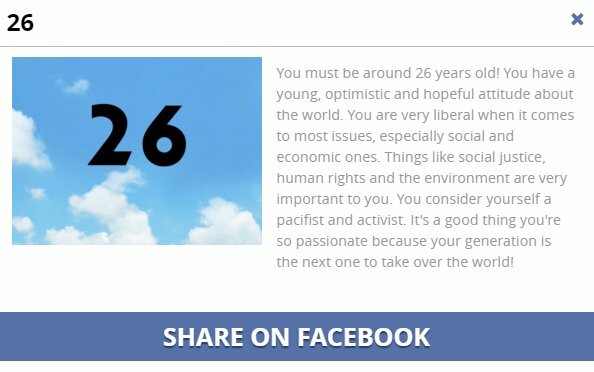 Based on my political views, my age was calculated to be 26. 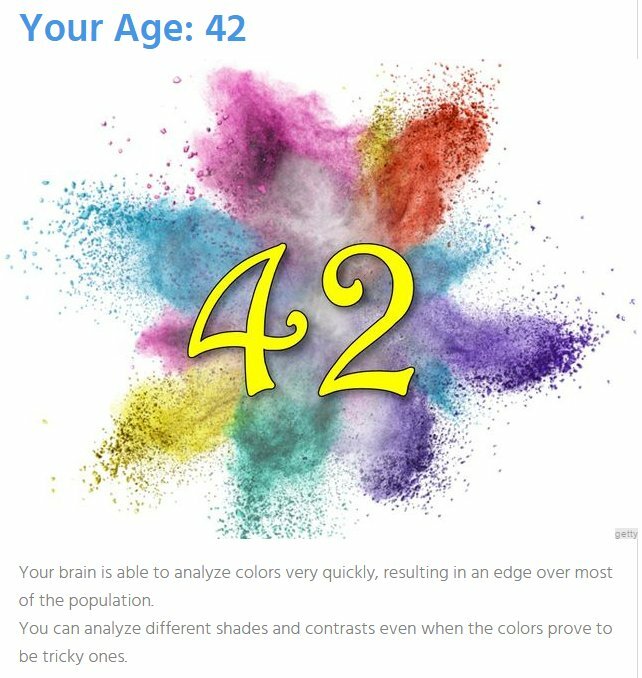 Based on my ability to pick colors, my age was calculated to be 42. Considering I’m 59-years-old, these tests seem to be wildly off the mark. 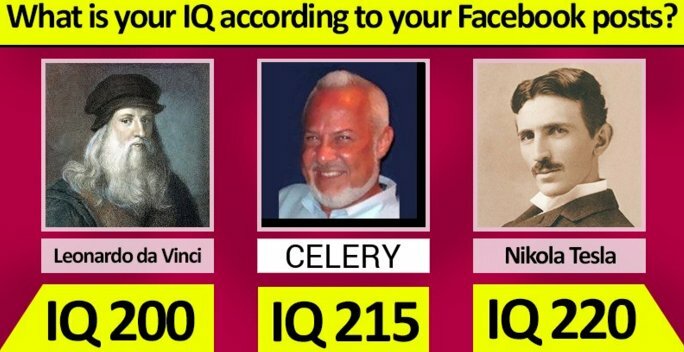 There was another test that promised to calculate my IQ based on posts I made on my FB page. It was calculated to be 215. Right between da Vinci and Tesla. That one obviously seemed more accurate.